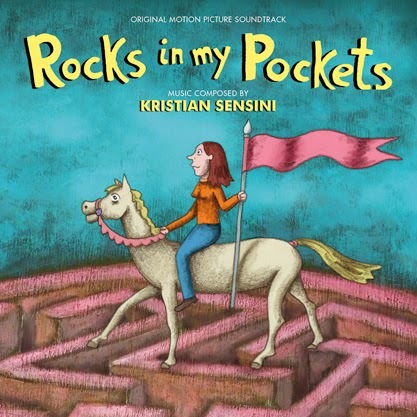 MovieScore Media presents the digital release of Kristian Sensini’s charming score for Signe Baumane's sensational animated feature, Rocks in My Pockets. 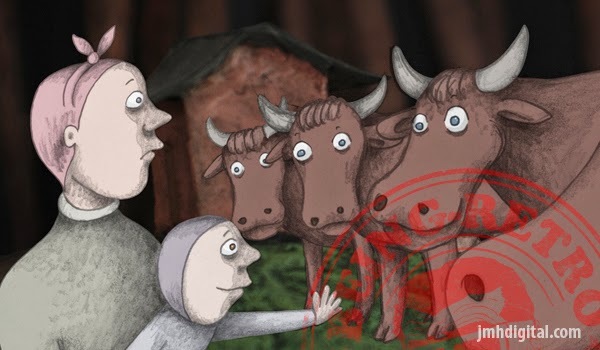 The film won the Fipresci prize at the prestigious Karlovy Vary festival and was described as a “modern milestone in animated storytelling” by Variety. The American distribution of the film was picked up by Zeitgeist who premiered the film in New York and Los Angeles in September, to be followed by a nationwide release. A fantastical tale based on true events about five women of Baumane's family (including herself), the film also includes a mini-history of 20th-century Latvia where the director hails from. Inspired by the animation styles of surrealist Jan Svankmajer and Bill Plympton, Baumane's film employs a unique, beautifully textured combination of papier-mache stop-motion and classic hand-drawn animation which required more than 30,000 drawings. The score is provided by Italian composer Kristian Sensini. Sensini studied piano and flute when he was a child, then began his first electronic and computer music experiments at the age of twelve. He studied at the Department of Music and Performing Arts in Bologna where he specialized in Musical Education and Anthropology.Taking a special interest in genres such as sci-fi, horror and fantasy, Sensini has received a total number of of nine nominations for Best Score (including Feature Film, Documentaries, Promotion, Best Song, Best Short) at the Jerry Goldsmith International Film Music Award. He also won the Global Music Award for his music for Hyde’s Secret Nightmare. Nice Job, if you close your eyes and listen to this score you can find yourself drifting into a far off land where things build to a pleasant proportion. I say very whimsical and uplifting, you will really enjoy this score by composer Kristian Sensini and find it to quickly become a favorite for 2014.